Diane Abbott, the first black woman to be elected to the British Parliament, was born to Jamaican immigrant parents in 1953. Growing up in Paddington, London, she attended Harrow County grammar school before pursuing studies in History to Master’s level at Newnham College, Cambridge. 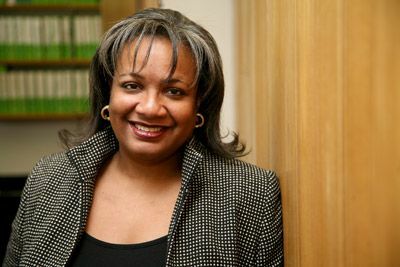 Upon graduation, Abbott worked as a civil servant with the Home Office as well as being employed by the National Council for Civil Liberties. In 1982, she was elected to Westminster city council before winning the Hackney North and Stoke Newington constituency for the Labour Party in 1987. She was elected along with Paul Boateng and Bernie Grant who became the first black men to be elected to the British Parliament. Abbott’s parliamentary career has been diverse and fruitful. For most of the 1990s she sat on the Treasury Select Committee of the House of Commons and the Foreign Affairs Select Committee. These posts allowed for global travel, with Abbott visiting Kenya, Uganda, China, Hong Kong, and many European states in an official capacity. Abbott was also the first black woman to hold the position of Equality Officer in the British Government. She was also elected to the National Executive of the Labour Party. Abbott is still serving as an MP in her original seat after she secured her place in the 2010 general election, which saw several Labour losses, with a 55% majority of the vote. Outside of Westminster duties, Abbott has been an important figure in community politics. She has been visible in work for the Organisation of Women of African and Asian Descent (OWAAD) while voicing support for racial equality within the Trade Union movement. During the 1990s, Abbott founded “Black Women Mean Business,” an organisation established to empower and promote black businesswomen as well as various educational projects such as “London Schools” and “Black Child,” which are aimed at increasing educational opportunity in ethnic minority neighbourhoods. Other youth work has included a commitment to the “Scrap Sus” campaign which works to abolish police profiling of black youngsters in stop-and-search patrols. Abbott has worked as a freelance journalist, broadcaster, and public speaker. In 2009 she was awarded the “Spectator Speech of the Year” for her condemnation in the Commons of the proposed 42 day detention policy which would have allowed the government to detain terror suspects for six weeks without charge or trial. This is one example of Abbott bucking the party line to stand by her beliefs. Another, which caused wide controversy, was her decision to send her son to private school despite the Labour party being opposed to fee paying education. Diane Abbott’s constituency website: http://www.dianeabbott.org.uk/about.aspx; http://www.100greatblackbritons.com/bios/diane_abbott.html.